Nancy Paulsen Books, 9780399254109, 32pp. Mouserella misses her grandmouse, so she writes her a letter. At first she can't think of anything to say, but once she starts, the news begins to flow - she found a cat whisker at the zoo, she taught her ladybug to fetch, she made shadow puppets with Dadmouse during a blackout - and just like that, the events of the past few days come to vivid life in her letter, as does her love for Grandmouse. 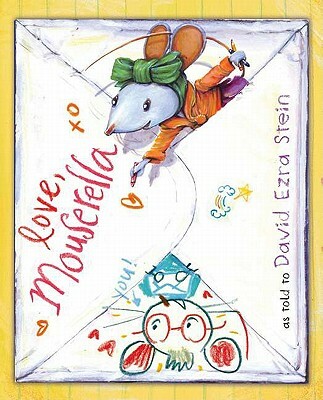 Children will enjoy reading the story from top to bottom, like a real letter, and Mouserella's funny drawings and lively adventures will spark their imaginations and just might inspire them to start a correspondence of their own. David Ezra Stein (www.davidezra.com) received a Caldecott Honor for Interrupting Chicken and the Ezra Jack Keats New Writer Award for Leaves, which was also a Publishers Weekly Best Book of the Year, a Kirkus Reviews Editor's Choice and a School Library Journal Best Book. He lives in Kew Gardens, New York.